As most of you will have guessed, as far as fandom goes I am above all a Star Trek fan and this is the pinacle of that. The other shows are great and I love them all but the huge ensemble cast, including many great recurring characters, and ambitious, detailed and far reaching storytelling, not afraid to tell a story over multiple episodes and seasons, pushes this show to the top of the heap. From Steven Moffat and Mark Gattis, this series is a perfect modernisation of Sir Arthur Conan Doyle’s great investigator. 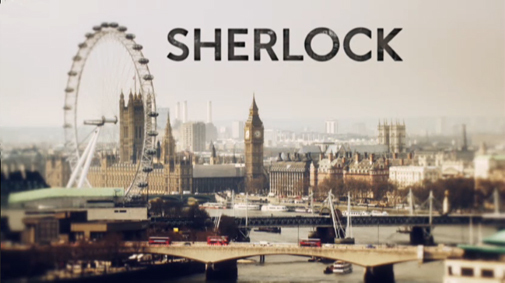 Set in modern day London, Benedict Cumberbatch stars with Martin Freeman as Doctor Watson. The thing that sets this apart from so many adaptations that have failed is that it keeps Holmes as just that, an investigator. He’s a fantastically talented detective, an eccentric, but what he’s not is an action hero. This series keeps Watson and Holmes doing what they’ve always done but in the modern day. I don’t so much wish more people were watching this so much as wish more people had the opportunity to. 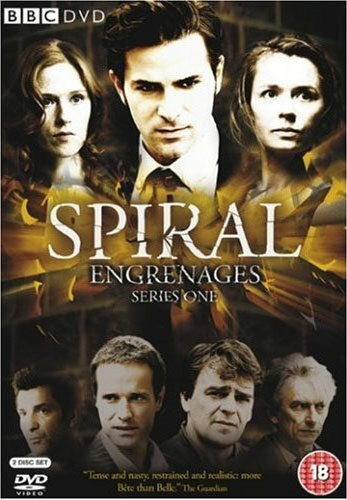 Originally called Engrenages, this is a French Police procedural drama that most people have probably never heard of. Over here it’s shown late at night on BBC4 and doesn’t get much attention. I’m pretty sure it’s never been shown in the states. Following the cases of Police Captain Laure Berthaud of the Paris Police, this show is really great, the sort of gritty police drama we in Europe do so well. 8-12 episodes per season following a single case is just the right length to be able to fully flesh out the investigation with plenty of twists and turns without much filler. The main characters along with Captain Berthaud are the Investigating Magistrate in charge of the investigation (the French system has an investigating judge overseeing the CID), the prosecutor working with the police team and a young ambitions defence lawyer. I can’t find any clips or trailers in English, but here’s the opening credits. All the Star Trek sequel series started with an average first couple of seasons but Enterprise was never really given a chance to shine. Maybe it’s because DS9 and Voyager both started while the previous show was still going strong whereas Enterprise was out all on it’s own but the audience just didn’t give it the chance to get better that they’d given to DS9 and Voyager. Seasons 3 and 4 were really good, but unfortunately by that time people had stopped watching and it was cancelled just as it was beginning to show how good it could be. I saw this film for the first time a little over a year ago. 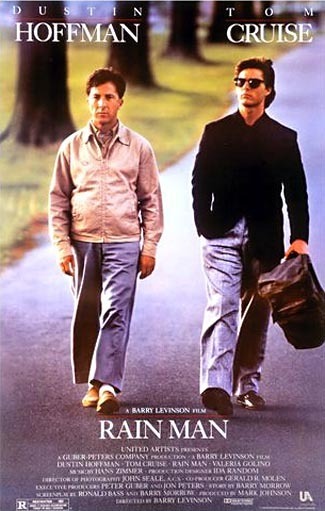 Dustin Hoffman is just fantastic as the Autistic man who is taken out of care by his half-brother (Tom Cruise) when his father dies. Cruise’s character is incensed when he doesn’t receive a full inheritance when his father dies and discovers that $3 Million is being given to the half-brother he didn’t know he had. He then proceeds to kidnap his brother and drive him cross country to LA to meet with his lawyers. 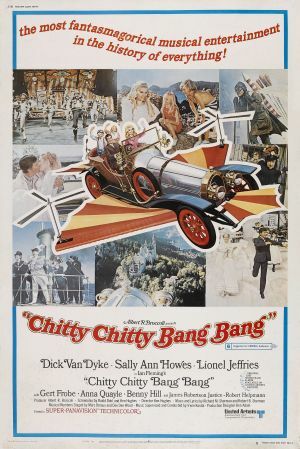 This is a great little musical film. Lionel Jeffries is the standout performer as Grandpa Potts. I just love the music. Fantastic. I know I only did the last one of these this morning, but I’m so behind everyone else on this and I had a spare few minutes on my lunch break, so here’s another one today. The title pretty much says it all. 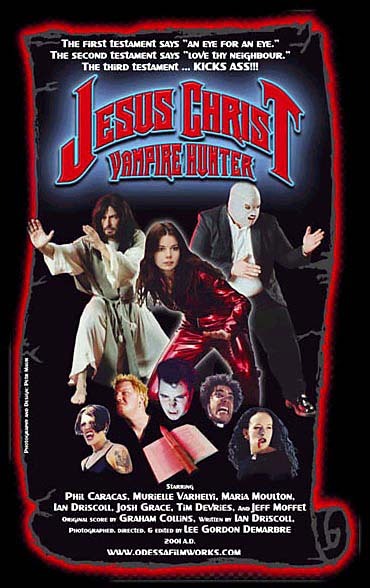 Definately the most obscure film I’ve ever seen, shown to me at the Scifi Society at uni and we had an interesting time watching it. Be warned though. It’s really, really bad. 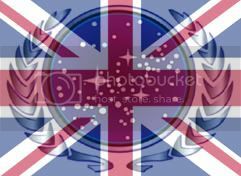 I'm a big Star Trek and other Scifi fan from London, United Kingdom. I'm also a Scout Leader, IT Technician and Podcast fan.